In addition to being the Chair of the Warren County Republican Party, Jeff has a history of doing pretty cool stuff. He has run police academies in two separate states, worked as a researcher for a crime policy think tank, he’s an author and has consulted governments in multiple states and countries. Jeff is a former college professor and was the Director of the Criminal Justice Graduate Program at Xavier University. Currently he serves as President of 22three, a firearms retail store, an e-commerce business and a training group. He also leads Think22three, a research organization that focuses on firearms violence and public policy. 22three has its origin in a simple piece of advice Jeff got from his grandfather. What was it? "Don't get too smart." There's a lot of wisdom in that statement. So, after earning his Ph.D. and becoming a professor and expert in gun control policy and homicide rates, Jeff launched two ventures. 22three, Inc., a firearms outfitter, and Think22three, a think tank, both aim to increase the number of households with firearms. Jeff is a bit of renaissance man who is just as comfortable working an algorithm, sitting in the back of the room, or speaking in front of 1000. 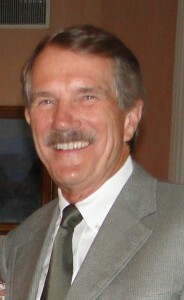 Politically, Jeff served on Lebanon City Council from 2005 to 2013. 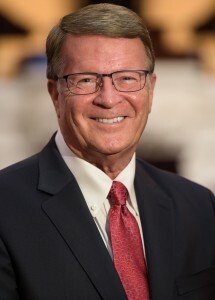 He has Chaired both the Warren County Republican Central and Executive Committees and is currently Chairman of the Warren County Board of Elections. In his spare time, Jeff loves hanging out with his wife Wendy (who currently serves on Lebanon City Council) and his two daughters. While traveling to all 50 states before starting college (thanks Mom and Dad! ), Julie learned to appreciate the federalist vision of the Founding Fathers. Americans should be able to build communities that reflect our local values and economic needs because one-size-fits-all, national solutions cannot solve most of our problems; they create more because such solutions cannot possibly "fit" every community's interest. And so, she became a Republican at a very young age. She met her husband, Matthew, through College Republicans, and went on to intern at the White House during President George W. Bush's administration. 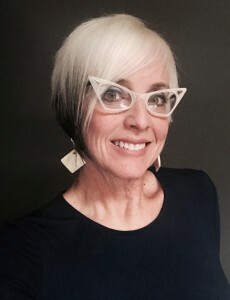 In addition to serving as Vice Chair of the Warren County Republican Party, she is on the leadership board of the Cincinnati Lawyers Chapter of the Federalist Society and is a member of the Deerfield Township Finance Committee. She and her husband have two daughters and a son. In her spare time, Julie still loves to travel, and looks forward to taking her children to all 50 states as well. Warren County Auditor Matt Nolan was elected in 2014. Matt, his wife Kara, and their two children live in downtown Lebanon. Prior to being elected Auditor, Matt served as Deputy Auditor under longtime Auditor Nick Nelson and previously as an Assistant Prosecuting Attorney. Matt graduated from Miami University and The Ohio State University Moritz College of Law. Matt and Kara are active in community organizations throughout Warren County. 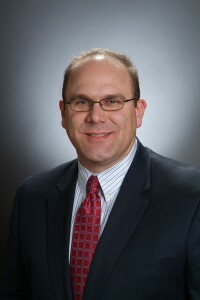 Matt serves as President of Lebanon Kiwanis, Chairman of Elizabeth’s New Life Center, is on the executive committee of the Warren County Republican Party and is a member of the Warren County Bar Association. 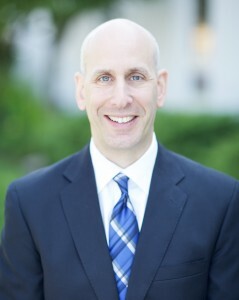 Randall S. Kuvin, CPA/ABV, CFF – President and Managing Partner of Flagel Huber Flagel, a regional CPA firm with offices in Dayton and Cincinnati. Randy joined the Firm in 1985, was admitted as a Partner in 1995, and became President and Managing Partner in 2008. He also heads up the Firm’s business valuation and litigation services department. 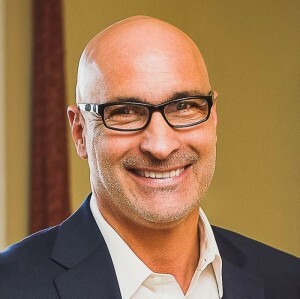 Randy received his Bachelor of Science degree in Accountancy from Miami University in 1985 and is a Certified Public Accountant, Accredited in Business Valuation, and Certified in Financial Forensics. 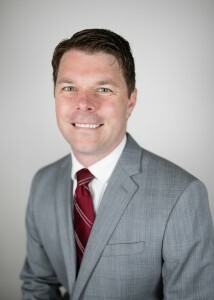 In addition to serving as Executive Committee Treasurer (since 2003), Randy currently serves on the Board of Working In Neighborhoods, Inc., as Treasurer of the Warren County Small Business Development Alliance, and is a founding trustee and treasurer of the Mason Deerfield Chamber Community Development Corporation. Randy and his wife Gina reside in Hamilton Township and are the proud parents of three adult children, Katie, Lindsey, and Alex. In addition to the Warren Co. Republican Party, Lori Viars serves on the boards of Conservative Republican Leadership Committee and Warren Co. Right To Life. Her social and fiscal conservative activism goes back to the late 80's. Interestingly, Lori was born on an election day and the Republican Sweep of 1994 fell on her birthday! Lori has run many local campaigns and volunteered on hundreds more at the local, state and federal level. She has been interviewed dozens of times by TV, radio and print media, and has been a guest on several Christian radio shows. Lori is married with two grown children. The grandson of two self-employed grandfathers and the son of a self-employed father, T.J. Honerlaw is also living the American dream of being a small business owner. Building on his father and grandfathers' lifelong Republican voting records and their belief in a small, conservative, unintrusive federal government as the Founding Fathers intended, T.J. was naturally drawn to the TEA Party movement and the desire to defend our God-given liberties & religious freedoms. T.J.'s passion to get more involved was two-fold. First, he was moved by Franklin Graham's quote, “It is no longer enough for Christians to just vote, now they must get involved". Secondly, after learning more about the Anti-Colonial agenda and Saul Alinsky's two most famous students (Barack Obama & Hillary Clinton) T.J. realized that apathy and ignorance are not acceptable for any true American patriot. Passion - for God, Life, and preserving the vision of America's Founding Fathers – is one of Joy’s key drivers. She brings this passion with her through all of her endeavors. A life-long resident of Warren County, Joy currently resides in Landen with her husband and two daughters. She graduated with a BA in Secondary Education from Wilmington College and earned her M.Ed from Xavier University through the Executive Human Resources Development Program. Joy has been employed for the last 10 years as Director, Organizational Development with award-winning Divisions Maintenance Group. In this role, she is responsible for strategic planning, leadership development and project management. Prior to this, she served as OD Director at Anthem BCBS and spent 10 years in consulting. She is also the founding pastor of PURE Ministries Fellowship in Landen. She is honored to serve the Warren County GOP and live her personal mission of inspiring and empowering people, teams and organizations to unleash their full potential! Adam grew up in Southwest Ohio, and now lives in Lebanon with his wife, Amanda, and three children, Rachael, Alexander, and Felicity. After graduating from St. Xavier High School, Adam attended the University of Notre Dame to study mechanical engineering and political science. He graduated from Notre Dame’s Engineering Honors Program, which included a thesis on his research modeling brain material for use by the United States Army to protect our soldiers from shrapnel and concussions caused by IEDs. He returned to Notre Dame to complete his law degree and has since practiced as a small business and patent attorney, helping inventors, innovators, and entrepreneurs remove the legal red tape standing between them and realizing their business success. As a small business attorney and a small firm partner, Adam has seen firsthand how regulations can hinder growth and success. Outside of work and politics, Adam has been able to help the unborn by serving as Vice-Chair for Elizabeth’s New Life Center, a network of pro-life women’s centers throughout Southwest Ohio. Adam has been a member of the Lebanon Parks & Recreation Board, a junior high football coach, and a District Chair for the Boy Scouts. Adam is a member of the NRA, the Federalist Society, Lebanon Kiwanis, and the Ohio Farm Bureau. Adam also serves his parish as a member of the St. Francis de Sales pastoral council to bring families to Christ. Bill Dowden and his wife Rowena have been Hamilton Township residents since 2011. They have four adult children and thirteen grandchildren. Bill is a Butler University graduate and Rowena holds a Masters Degree from Indiana University. Bill, an active conservative Republican in Indiana for many years, joined the Warren County GOP Century Club soon after arriving in Hamilton Township. He was recently re-elected to the Warren County Republican Executive Committee and then elected to the Board of Directors. Before becoming a volunteer for the Republican precinct in which he lived, he was President of the Indiana Americans for Conservative Action. In addition to his full time career as a livestock broker, he spent many as hours as the elected Precinct Committeeman, delegate to the State conventions, and member of the Indiana GOP Platform Committee. After helping elect many good Republicans to public office, he was persuaded to run for a district seat on the Indianapolis-Marion County Council. Each District had approximately 38,000 population, and the elections were very partisan – terms were for four years. He was elected to eight terms on the Council, and chaired the Council Committee on Public Safety and Criminal Justice twenty-five of those thirty-two years. A veteran of the Korean War, Bill holds fast to the Marine motto of “Semper Fidelis,” but also the oft-quoted motto of “God, Country, Corps.” He describes himself as “Christian, Conservative, Republican” – in that order. He views local government and honest grass roots politics as the foundation of good government. In 2017, Brad started his twenty-fifth year in the insurance industry. Beginning his insurance career in auto claims, he later transitioned to agency management, and then ultimately to opening his own agency in 1999. He currently operates the Lamoreaux Insurance Agency in the Liberty township area. Brad has been life long member of the GOP. He has helped various candidates all over the state of Ohio; participate in everything from local issues to Congressional races. He currently is serving his third term as a GOP precinct captain and is an At-Large member of the Executive board. Brad holds a B.A. degree from Mt. 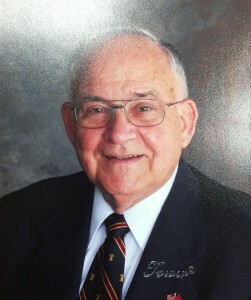 Vernon Nazarene University and currently resides in Lebanon, Ohio with his wife Elizabeth and their family. John was raised in Massillon, Ohio and attended The United States Military Academy at West Point for two years and graduated from The Ohio State University with a BS Degree in Chemistry. After graduation, he served 2 years active duty as a 1st Lieutenant in the U.S. Army stationed in Fulda, Germany. Following active duty John worked for AT&T, Merrill Lynch, and then spent 33 years in the plastic container industry with Continental Plastic Containers/ Consolidated Container Company in positions of Regional Sales Manager, National Business Director, and Vice President of Sales & Marketing. After retiring in 2009 John volunteered as a tutor for Warren County Adult New Readers (WCANR) helping adults improve their reading skills. He was elected to their board of directors in 2014, and was elected President of the board in April 2017. In 2018 WCANR merged with Warren County Community Services (WCCS), and he now serves on the board of directors of WCCS as well as President of Adult New Readers Advisory Board. John was elected as Republican Chairman for his precinct in 2010 and continue to serve in that capacity today. During this period he was elected to the Warren County Republican Party’s Board of Directors and served 2 years on the audit committee, 2 years as Assistant Treasurer and 2 years as Vice Chairman of the Central Committee. After a two year absence he was re-elected to the board for a 4 year term in June 2018. John is married to his wife, Marcia, and has two grown children and 4 grandchildren. He has lived in Warren County since 2003. State Senator Steve Wilson is currently serving his first term in the Ohio Senate, representing all or part of Butler, Hamilton and Warren counties.